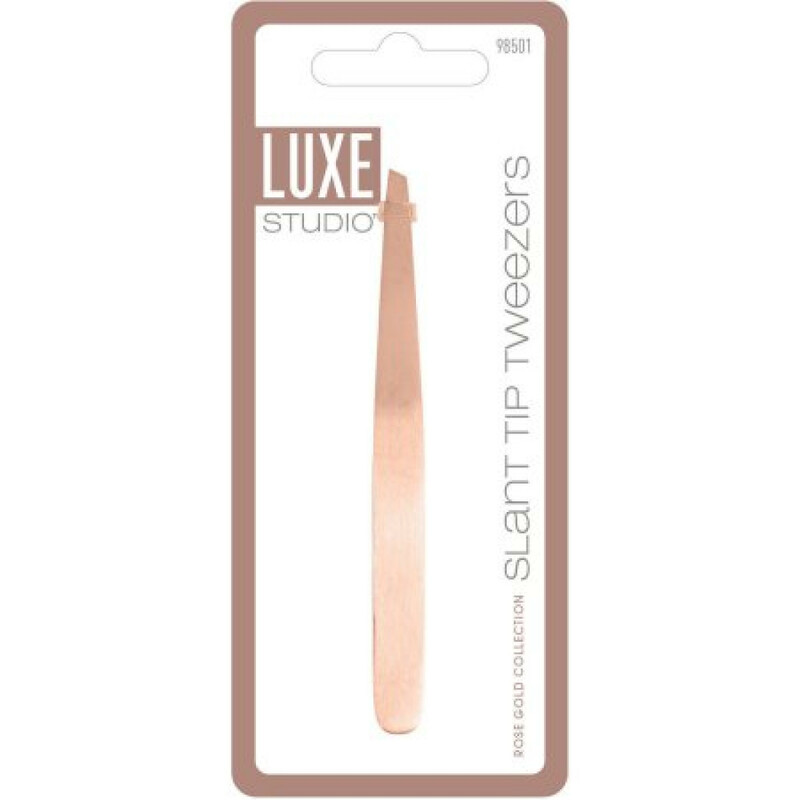 Achieve salon-like results easily with these LUXE Studio Rose Gold Collection Slant Tip Tweezers. They are made of high-quality, non-corrosive stainless steel for reliable performance. These makeup tweezers have ideally aligned slanted tips for precision removal of hairs. They are easy to hold and have a portable design that lets you perform quick touch-ups at home or on the go. 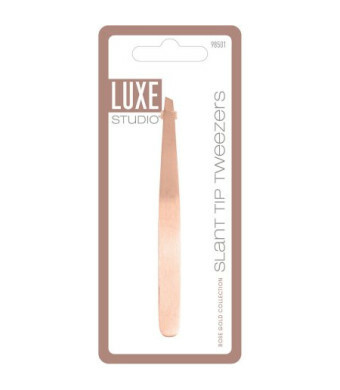 Try other personal care products from the LUXE Studio Rose Gold collection (sold separately).